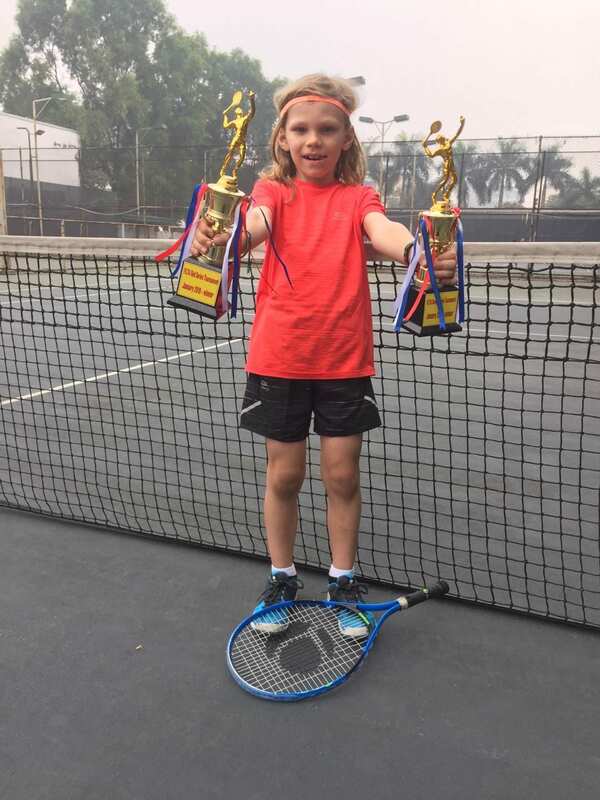 Grade 2 UNIS student Gabriel played in the Junior Xcite Tennis Tournament last Sunday (27 January 2019). A big congratulations to Gabriel as he won his Under 8 age group and also played an age group up Under 10 and won that too! Great form from one of UNIS Tennis Academies rising stars. Gabriel has been playing with UNIS Tennis Academy for a year now and currently attends three classes a week. His mother – Katya; also attends the Adult Social Tennis classes weekly on Wednesday evenings. If you are interested in playing tennis with juniors like Gabriel, adults like Katya or other players in your age group, please contact UNIS Tennis Academy Manager – Nick Firth at tennisam@unishanoi.org. This entry was posted in UNIS Tennis Academy by tintuc. Bookmark the permalink.